Our number one goal is to provide a safe, ethical, fun adventure and send you home with memories of a lifetime.....and blood on your hands. 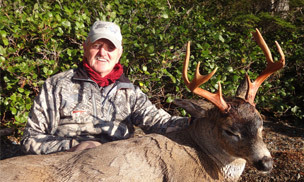 The area we hunt is remote and hard to access so the deer get old and huge, thereby giving you the chance to harvest a huge record book deer. We are experts at what we do and are extremely passionate about doing our jobs well. Our boats are immaculately maintained and extremely SAFE! 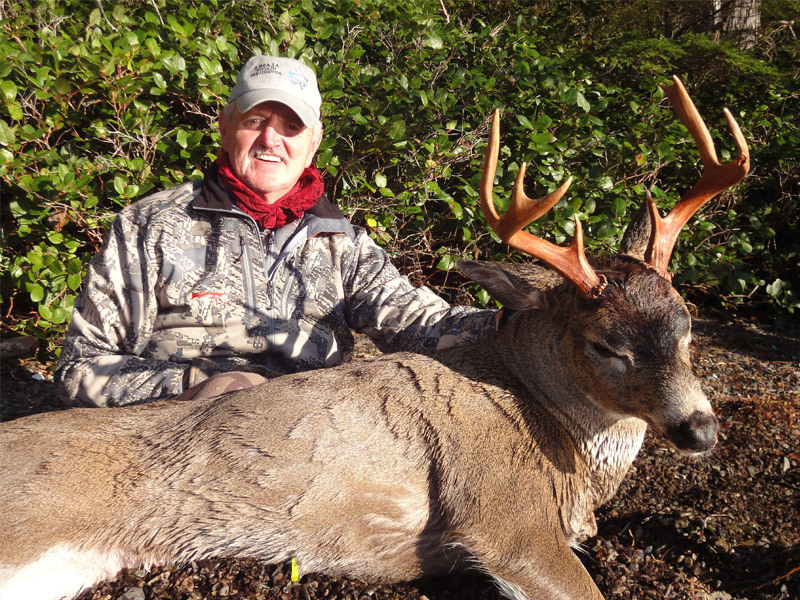 Prince of Wales has the BEST genetics and is the BEST location for record book Sitka Blacktail Deer! There are NO brown/grizzly bears on Prince of Wales Island. You wont’ get mauled! The deer do not suffer winter kills like many areas up North. You will be warm, dry and comfortable every night! We are expert guides! 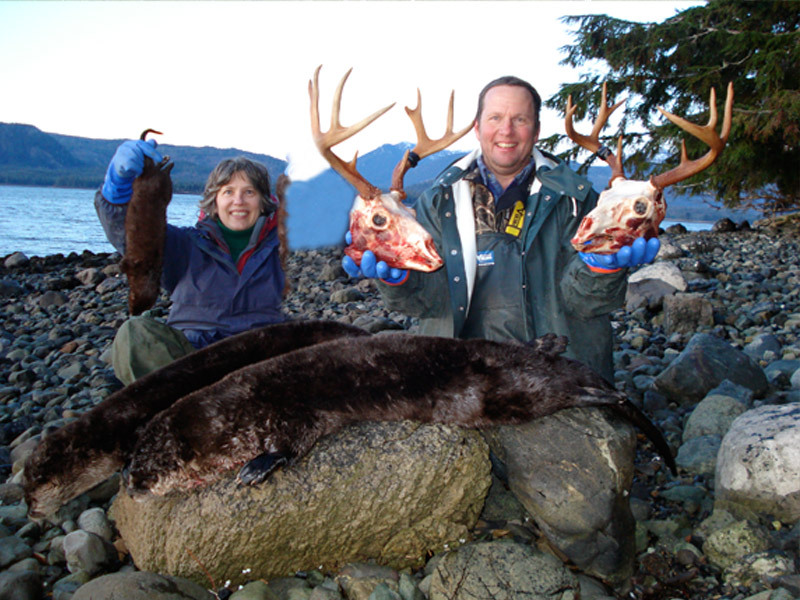 We have guided many successful rifle, bow and pistol hunters all over Alaska! We do a great job of caring for your hides i.e. turning the ears/lips/nose/fleshing and salting! 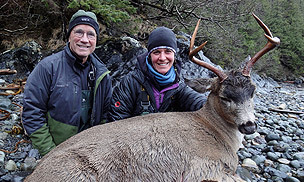 We provide an excellent guided hunt with a very high success rate for Sitka Blacktail Deer! We can field judge deer with great accuracy. We produce results! We have an extensive track record. Our only job has been guiding hunters and anglers since 1995! 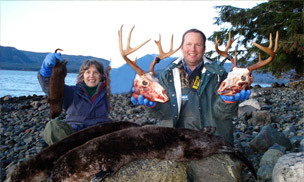 Kurt has been guiding hunters in Alaska since 1996; outfitting since 2001; conducting hunts on Prince of Wales Island since 2006 and has been a master guide since 2014. Trina has been an assistant guide since 2009 and is GREAT at everything she does! We have an amazing waterfront lodge for you to enjoy while on your hunt of a lifetime! We are excellent hosts/cooks! You won’t be disappointed! We are both members of the Alaska Professional Hunters Association and are involved in our industry! 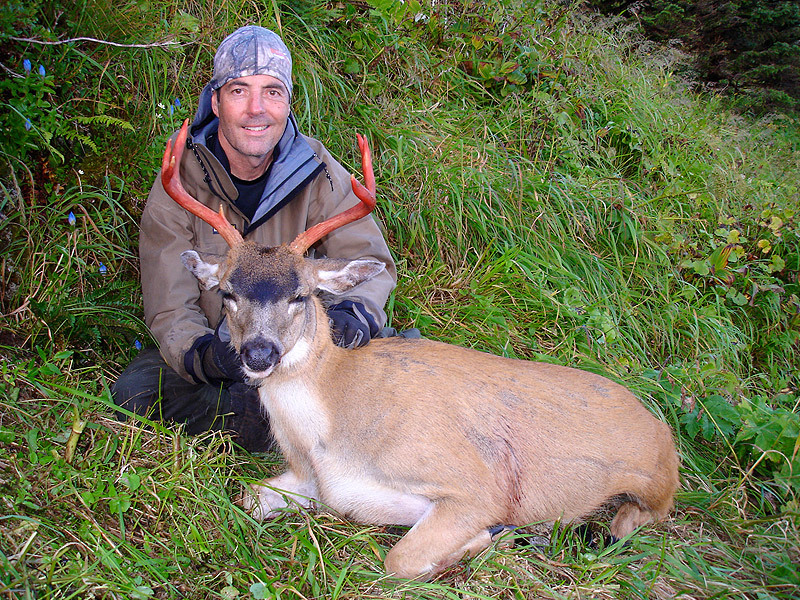 We offer 6 day fully guided hunts and specialize in hunting Sitka Blacktail Deer! You will be served some of the freshest and best seafood in Alaska. You won’t lose weight! 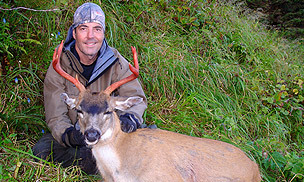 We are excellent photographers and videographers so your hunting memories will be preserved. You’ll see lots of wildlife on the trip including whales, sea otters, seals, sea lions, deer, mink, river otters, bald eagles and countless bird species. Bring several cameras! We can start hunting about 30 minutes after leaving the dock and we hunt smart! Bumping into another deer hunter in our area is very unlikely. Prince of Wales is big deer hunting mecca! Klawock is only a 3 hour plane ride from Seattle. There’s no need to fly any further! The hunting area is protected from the ocean swell by many islands so seasickness is rarely an issue. We will make you laugh and you’ll have FUN on your adventure! Hunt in comfort, safety and style while having a great time! 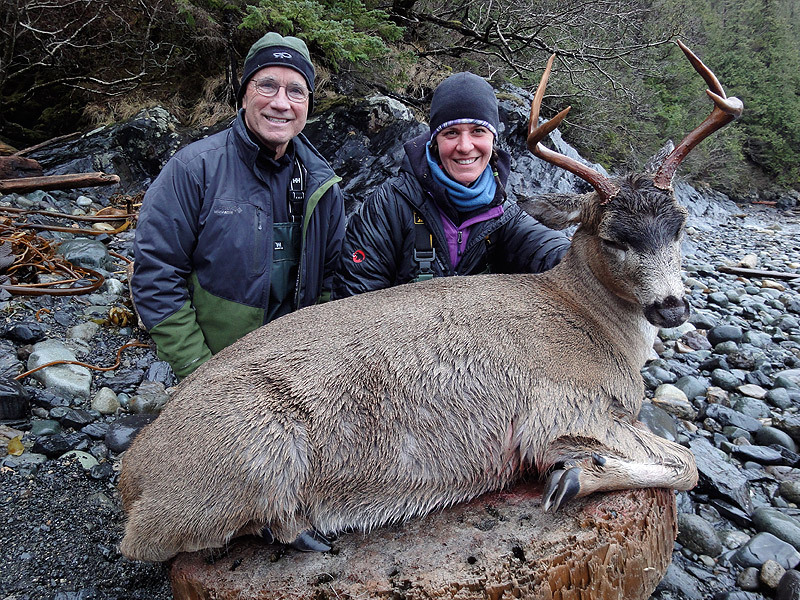 Hunt a Giant Sitka Blacktail Deer with Treasure Hunter Lodge!